Walk inside to this completely move in ready home! The high ceilings throughout this whole home make this home spacious and desirable! The large living room features a fireplace and it has a special ceiling feature so one could have a 15 ft Christmas tree in front of the bay windows. The nice sized kitchen has lots of cabinets, counter space, bar and dining area. 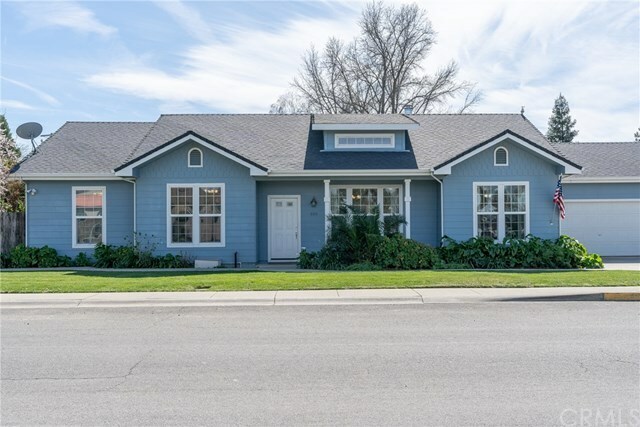 This home features 3 bedrooms, 2 bathrooms, spacious indoor laundry room, 2 car attached garage, and a wonderful extra large fenced yard space for RV parking, boat storage or extra vehicles. The huge master bedroom is warm and inviting and has a glass door to the backyard. The master bathroom has double sinks, and a large walk in closet that makes this a desirable feature. The glass door off the living room makes the outdoor space easy to access for outdoor entertaining! The front and back yards are completely landscaped and groomed! Must see to appreciate! Pride of ownership! Buyer to verify all information to their satisfaction.